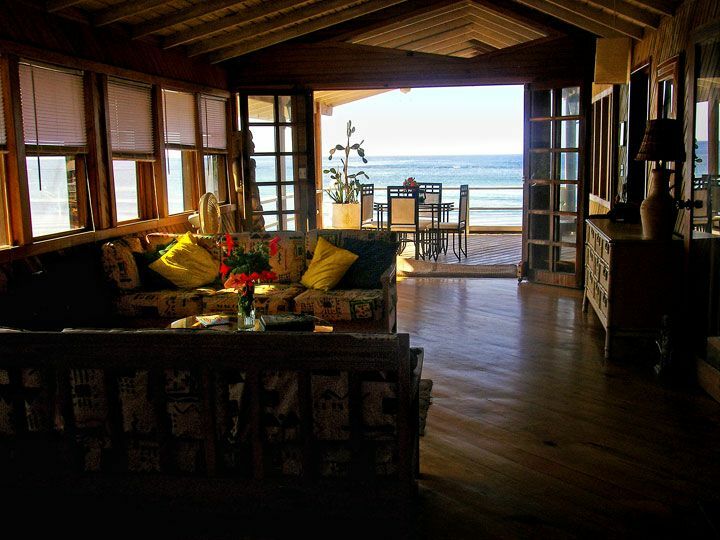 Whether it’s a Romantic getaway for 2 or a Family vacation for 6, The Beach House is your home away from home. It has two private bedrooms (One King Bed and 2 Twins) and two baths. There are also two couch beds in the living room. It has a full kitchen and a 500 square foot porch to view the incredible Sandy Bay sunsets. The house is fully equipped with linens, cable, WiFi, AC, cell phones, mid-week maid service, airport pickup and drinking water. The property is nestled on A Six Acre Garden of Eden with over 40 fruit trees, palm trees and its own 300 feet of private beach. The property is also gated with security guard and a resident property manager. The property is within the Marine Reserve. The reef is a 100 ft. swim from the dock; the dolphin pen about a 50 ft. swim. A full-time housekeeper may be available for cooking, cleaning, and babysitting. Anthony's Key is two blocks away, as is Octopus Dive School. The three best restaurants are a three minute walk away. Taxis are $1.50 per person. The property is just ten minutes from the airport and Coxen Hole. We also have another two bedroom house about 100 feet from the beach alongside a stream and also a small efficiency beach cottage called The Cabana next to the ocean with one bath, a minimal kitchen and front deck overlooking the beach. Blue Bahia, Tranquill Seas, and Anthony's keys are all within walking distance and are open for Breakfast, lunch and Dinner. Plenty of parking on the property which is gated and secure.